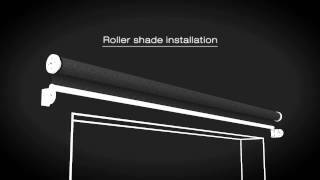 smartroll™ technology provides a safe, smooth and silent cordless solution for roller shades. 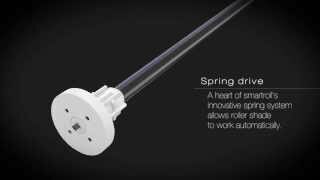 Our smartroll™ mechanism operates through our patented automatic rolling spring system which guarantees trouble-free and secure use. Eliminating all cords and hazardous chains is now permanent, easy and affordable with smartroll™ technology. With the same mechanism, smartroll™covers a wide range of sizes and weights. From small to wide, smartroll™ gives a cordless solution to all custom and standard projects. Specially designed for 1 inch roller tubes, this mechanism is perfect for light projects where reliability and esthetic is required. 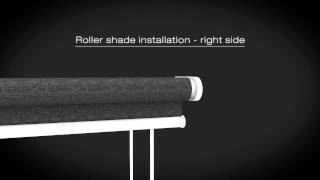 Designed for large roller shades up to 6.5 feet wide and 10 feet high. Sturdy design guarantees smooth rolling of heavy solutions up to 5.7 pounds while still maintaining authentic elegance. 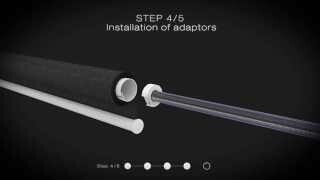 Adaptors allow the use of smartroll™ through larger roller tube sizes as needed. Through an in-depth analysis based on the customers’ needs, smartroll™ is designed and developed to bring users the unique benefits of safety, convenience, reliability and functionality. 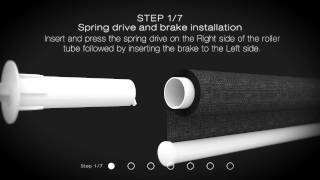 Our spring system was designed with safety in mind. This technology eliminates danger brought on by cords and bead chains. Smooth, sleek and silent, our smartroll system operates with an automatic touch. 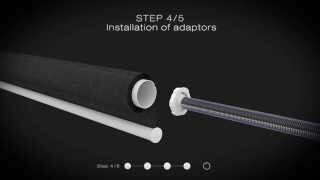 Easy to install, use and regulate for all custom needs. With smartroll, users can control the speed and home position. The production of smartroll is continually tested. The mechanism passes 10,000 test cycles at maximum capacity, which guarantees the highest quality and endurance. From small to large windows, from light to heavy fabrics, the mechanism remains universal and easy to apply in the production for a large variety of solutions. Subscribe our newsletter, in which you will find news, questionnaires and lots of information about smartroll™ products - Child safe roller blinds & shades. Please fill out the form below with your details to receive your sample. Information on shipment will be sent to the e-mail address. Please enter your e-mail address for sending our newsletter. Our newsletter will be sent at the address entered by you.